Thank you for signing the Guest Book for Lembit LUME. Please take a moment to sign the Guest Book for Lembit LUME. LUME Jum In loving memory of (Lambert) Jum Lume Will be sadly missed. Loving Uncle of Kylie and Robert. 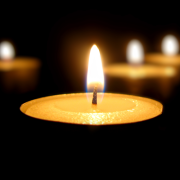 LUME, Lembit Vello (Jum) 12/3/1950-28/3/2019 A private service will be held at the Bordertown Lawn Cemetery, Thursday, 18th April 2019 for the family and close friends at 10am. A celebration of Jum's (Lembit) life will be held on the 18th April 2019 at 2pm at the Bordertown bowling Club. Everyone is welcome. Ladies, please bring a small plate to share for afternoon tea. Send me a daily email when updates are made to the obituary or Condolence page for Lembit LUME.